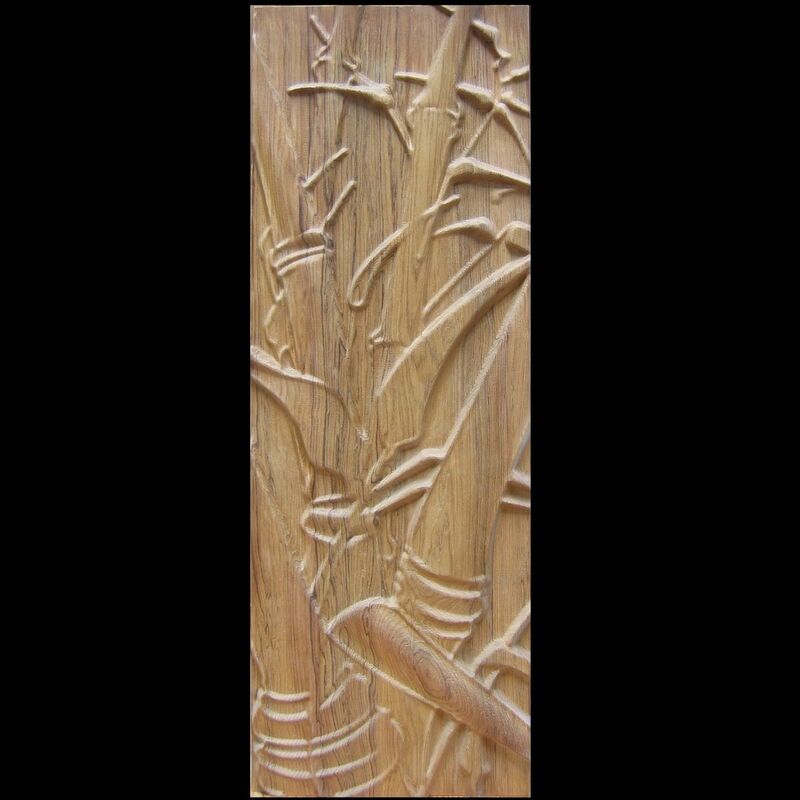 Two inch thick Teak wood with a bamboo motif carved in relief. 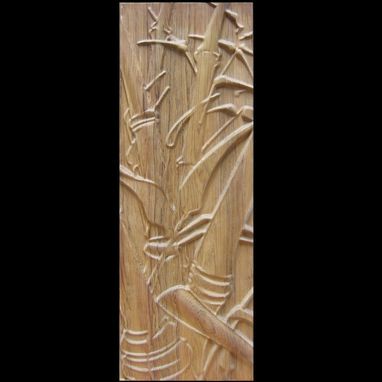 While this piece already exists and is for sale, wood carvings can be custom designed and created to fit client's needs. Dimensions: 30.5" x 10.75" x 2"